It has been more than a week since General Electric (NYSE:GE) announced that it had replaced its now-former CEO, John Flannery. GE stock surged nearly 20% in the wake of the announcement before retreating with the rest of the market The dust has yet to fully settle, though, as investors continue weighing the upside of a highly-motivated, new CEO against the plausible reality that fixing GE still won’t be quick, easy or pretty. Nevertheless, it is increasingly clear what new CEO Larry Culp will have to do. The $64,000 question is, can he do it? Most onlookers think that the struggling industrial giant may be in better hands now than it was a week ago, but most of those observers also realize that GE stock is still facing enormous (and potentially expensive) problems. Larry Culp is a well-respected name inside and outside of industrial circles. He took the helm of Danaher (NYSE:DHR) back in 2001, and before stepping down in 2014 had managed to quintuple the company’s revenues and market cap. His acumen isn’t in question. Culp also brings something to the table no other GE chief ever has in our lifetimes… a fresh perspective. That is, he’s the first CEO of General Electric who wasn’t promoted from within in a century. Culp’s earliest maneuvers may also include more write-downs. Analysts’ current consensus estimate of the company’s 2018 EPS is 92 cents. Past and future problems aside, General Electric’s Board of Directors has given Culp an incentive plan that will even make Apple (NASDAQ:AAPL) CEO Tim Cook — last year’s highest-paid CEO in the world, when factoring in stock grants — a little green with envy. Culp’s base pay is relatively modest. General Electric will pay Culp $2.5 million per year, but he will also qualify for a bonus of $3.75 million and equity awards of up to $15 million per year. If the General Electric stock price rises considerably, though, Culp will profit much more handsomely. A 50% improvement in the value of GE stock by the third quarter of 2022 could be worth around $47 million to him, while a 150% improvement in the value of General Electric stock could translate into a $300 million payday for Culp. General Electric has a great deal going for it, not the least of which is a recognizable and respected name. Its healthcare and aviation businesses are doing well, and although its power and energy-related units require a great deal of work, that work is doable. More write-downs may be on the radar, however, as the depths of the company’s pre-Flannery missteps are still being disclosed. The market may have already priced the worst-case scenario, and more, into GE stock price, though. 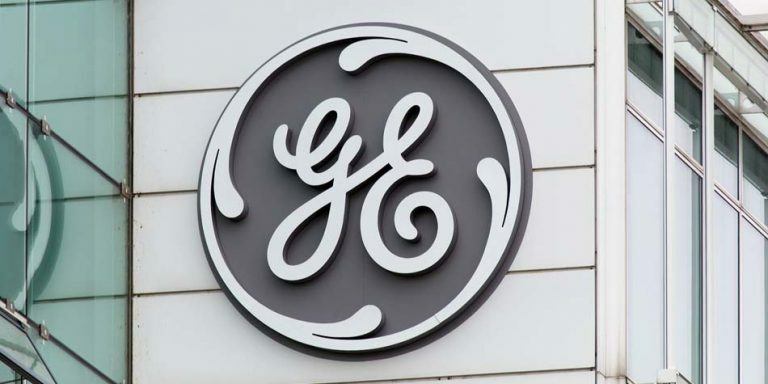 As Barclays’ Mitchell noted, the current market valuation of General Electric stock reflects the combined value of its aviation and healthcare units. Investors are essentially getting its power, renewables, lighting, transportation and even its stake in the Baker Hughes (NYSE:BHGE) venture, struggling as they may be, for free. Investors could certainly make far crazier bets. More than anything though, Culp’s arrival offers something shareholders haven’t had or seen in a long, long time… hope. That alone makes GE stock worth a look. Article printed from InvestorPlace Media, https://investorplace.com/2018/10/new-general-electric-ceo-may-be-just-the-catalyst-ge-stock-needs/.